Topics of interest for conversation from alumni to students, from pastor to pastor, from friends to the Seminary. “Ma-ma”. Speaking this simple word does not appear to be complicated, unless you’re Edwin Azouma. Edwin is a disabled student at the Ecole Nouveau Départ (or School of New Beginnings) in Togo, a small country in West Africa. The school is led by Covenant Seminary alumni, Macklann Basse, and his wife, Rose. Edwin is a four year-old student, suffers from a mental and physical handicap that makes it difficult to communicate and interact. When Edwin first came to END, he was only able to yell phrases like “…eeeeh!”. He had poor social skills which made it difficult for the other students to befriend him. Rose and the teachers at END spent the next two years teaching Edwin basic language and social skills. He is now able to speak simple phrases like “Ma-ma”, give someone a “high-five”, and is well-liked by his classmates. 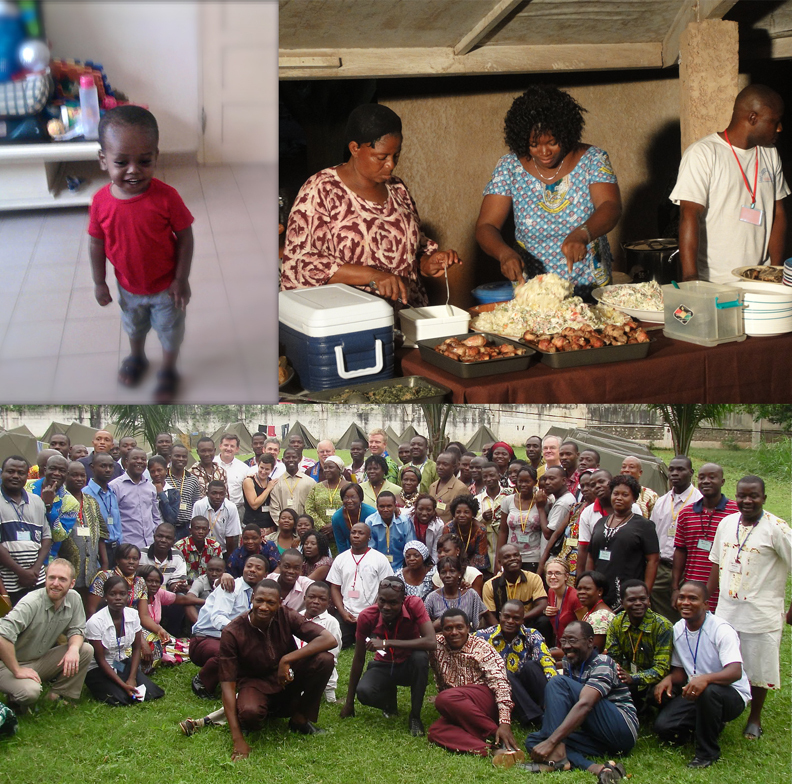 Edwin’s mother said, "God has changed the life of my son with the help of "Ecole Nouveau Depart". He made real progress in his ability to speak. He can say words more clearly. His interaction with other kids has improved a lot." Edwin is just one of the many stories of God’s goodness being extended to the lowly in Togo. Come, Learn, and Return to Serve! Macklann Basse graduated from Covenant Seminary with an MATS in 2006, and was ordained at New City Fellowship St. Louis (PCA) in partnership with the Evangelical Togolese Presbyterian Church (EEPT). In 2010, Macklann and Rose returned to their home country after spending almost eight years in the United States. 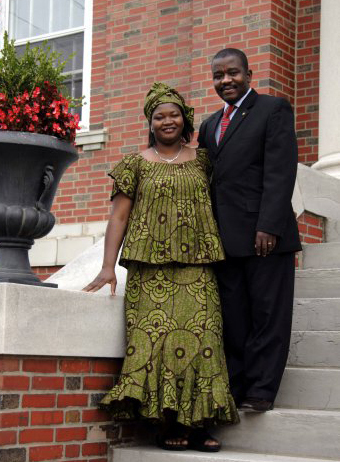 They returned to Lomé as missionaries with Presbytery Mission International to start Africa Missions with Nations, a missions organization that would train future missionaries to plant churches and disciple Africans to care for the least among them. Depart. Rose (ceter) prepares food for attendees of AMANA conference. END has almost 40 preschool aged students, including some Muslim children. Macklann is meeting weekly with 20 adult students and is teaching them to share the Gospel and be missionaries in their city and villages through AMN’s missionary training institute. One missionary student came from Niger for extensive training with Macklann. Upon returning to Niger, he planted 15 rural churches throughout the countryside. Each August, AMN hosts a missions conference that encourages people to receive God’s grace and share the Gospel in their particular context. The work has kept Macklann and Rose busy as they share the Gospel of God’s grace, disciple His sheep and care for the least. Macklann preaches at many local churches and speaks frequently on the radio. He purposefully confronts the legalism and “prosperity Gospel” that is so prevalent in the culture with the grace of God and the call to lay down your life and follow Jesus. The Poor, the Widow, the Sojourner Among Us. At times, the demands are overwhelming. The Basse’s are not able to help many people with basic needs like food. They often have people knocking on the front gate of their facility asking for help with medical bills or clothes. Macklann laments that they were not able to help Mama Thereza, a close friend, raise the funds for the struggling orphanage she runs. The children sleep on the floor of the orphanage, which often floods when it rains. As Macklann and Rose look to the future, they remain excited about the possibilities. The Basse’s hope to focus particularly on planting churches in the rural villages of Togo that will care for the poor and defend the widow and orphan. They are also encouraged that several U.S. churches will visit them in Togo in 2013. One team will come for the annual mission conference in August. Macklann and Rose appreciate the partnership and long for more churches to join them in caring for the lowly in Togo.